As an introduction to the subject I would like to say a few words about the Society of Friends or Quakers as we are called. The movement began in the mid 17th century with George Pox. He was born in 1624 and as a young man he soon began to question why those who professed Christian¬ity did not practise it. He travelled far and wide throughout the country holding “meetings” and was imprisoned for challenging clergymen, and remonstrating with magistrates. He preached that God was to ba found in people’s hearts. When George Fox was sentenced at Derby in 1649 for blasphemy he told Justice Gervase Bennett to quake at the name of the Lord, hence the title “Quakers” came to be used to describe his followers. There have been Quakers in Yeovil from the mid 17th century and I intend to chart their history in a series of short articles. Friends’ meetings are first recorded in 1654 and they are almost continuous up to the present day. The Friends’ Burial Ground was acquired in 1669 and the site still remains in Preston Road where there is a stone built into the wall adjoining the cemetery with the inscription “Friends Burial Ground 1669”. Rees Lionel E. A Handwritten Mss. 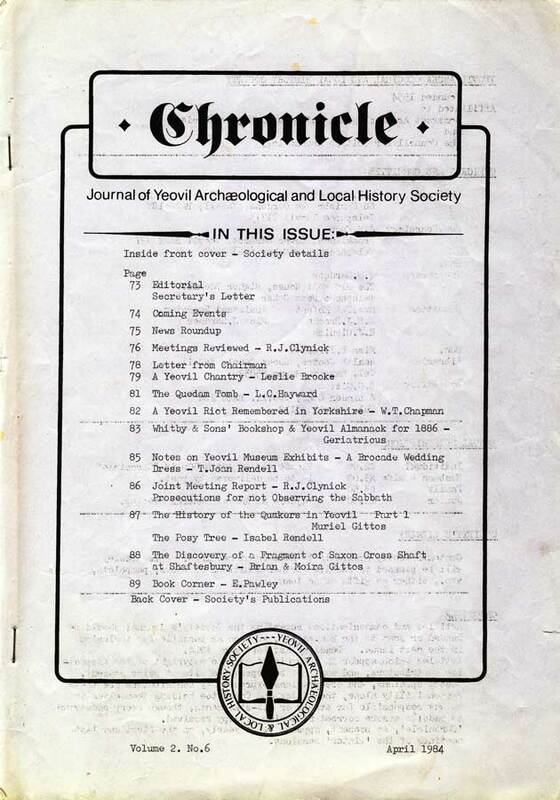 containing notes on the history of the Yeovil Meeting 1654-1878 written c.1956. Now in the possession of the Yeovil Meeting. Noble V. “George Fox”. Friends Home Service Committee 1969. Morland S.C. ed. “The Somersetshire Quarterly Meeting of the Society of Friends 1668-1699 • Somerset Record Soc, 75,1978. In my next article I will tell you how the Friends’ Meeting House came to be built in Kingston. 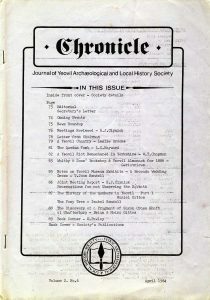 Part 2 can be found in Chronicle for year 2008.